A proposal by fertility researchers to “harvest” female gametes, “ova,” from the dead bodies of aborted children to create in vitro embryos in the lab has created a small buzz among the pro-life websites, blogs and Facebook in the last couple of days. But the buzz is over a story that appeared in the Daily Mail nearly ten years ago, about research that has very likely moved along considerably in that time. In July 2003, the Daily Mail wrote about the work of a team of researchers from Israel, revealed at the annual conference of the European Society of Human Reproduction and Embryology in Madrid. These researchers had successfully cultivated ovarian follicles in the lab, keeping them alive for several weeks. The tissue, the part of the female reproductive system that gives rise to ova, had been taken from seven babies aborted at between 22 and 33 weeks gestation. It was cultivated in a mixture of chemicals and hormones over four weeks and the follicles matured to the stage just prior to the production of gametes. Dr. Tal Biron-Shental, from Meir Hospital in Kfar Saba, Israel, was quoted by the Mail, as well as the BBC and a few other outlets, conceding that the concept of taking ovarian tissue from aborted babies “was controversial”. In fact, her quotes revealed much about the direction the abortion ideology has taken; one of pure, ice-cold utilitarianism. “I’m fully aware of the controversy about this – but probably, in some place, it will be ethically acceptable,” Biron-Shental said. “There is a shortage of donated oocytes (eggs) for IVF – oocytes from aborted fetuses might provide a new source for these. Somehow, this Daily Mail story has recently resurfaced from the depths of the internet ocean, bobbing around Facebook and elsewhere, and been picked up by one or two pro-life websites and blogs who failed to notice the date. But I remembered the issue as being a hot one in the early years of my involvement in the pro-life political lobby in Canada. At about that time, I was working for Campaign Life Coalition, doing most of the research and writing on the impending Assisted Human Reproduction bill that was being shoved through Parliament by the then-Liberal Party government. One of the things that had frustrated us at the time was the unwillingness of our MPs, even the pro-life ones, to believe that such outrageous things were being contemplated by researchers. The idea that babies could be created using the ova of other babies who had been aborted was so outlandish, so horrifying, that we were told we were being “extreme”. I remember being told by the representative of the Canadian Conference of Catholic Bishops that “some law was better than no law,” and at least once the bill passed Canada would no longer be the wild west of the embryo research world where anything goes. The bill was passed, mostly unamended, and our warnings about aborted baby ova and other horrors were largely ignored. That was ten years ago. Since then, Canada has had a smoothly regulated embryo research industry, well-funded and prosperous, with a clearly delineated legal framework that could easily have allowed such research to go forward, without public scrutiny. What isn’t clear is whether this harvesting of eggs is actually happening either in the UK or Canada. But, given the issue is floating around again, it seems worth revisiting the topic. I spoke today with pro-life advocates in Britain who said that, if nothing else, the story reveals the depravity of the abortion ideology. Ivana Forman, a spokesman for the campaign group Abort 67 said that the concept of children created from aborted babies was so shocking to most ordinary people that it could result in a more healthy debate on legalised abortion and its societal impact. Forman told me that, obviously, the entire proposal ought to be unthinkable from the start. The logic, she said, is straightforward; if the unborn child is just a “blob of tissue” then why not use it? The abortion industry, embryo researchers and the media that supports them, however, refuses to admit that the unborn are human beings. “They’re not recognising that they’re human beings from the moment of conception, therefore it’s ok to kill them. If that’s the argument, then we can do what we want with them. Abort 67 is a relatively new group that takes the radical approach of using large graphic images of aborted children on the streets, a method of pro-life activism that upsets many, even in the pro-life world. But Forman defended the group’s efforts, saying that in Britain no progress will be made, even among those who don’t like abortion, until people are forced to confront the reality of abortion. Forman said that stories like the one in the Daily Mail provide a similar opportunity. The idea of using aborted children to create new babies in the lab is so outrageous that it strips away the polite, euphemistic padding in which abortion is normally shrouded. “We try to expose it with images, with pictures, to try to bring it into the public arena, so it’s not cloaked in euphemism. We’re exposing “choice” and what abortion is, and thereby changing people’s minds. With a story like the one in the Mail, she said, “You’ve got to be really cold and heartless to say, ‘well it’s dead anyway, we might as well get some use out of it’. The use of aborted fetal tissue, not only in medical research but even the cosmetic industry has been known to pro-life advocates for decades, though the information has rarely been publicized in the mainstream press. 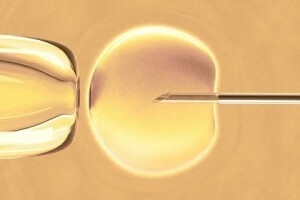 Fertility experts have long maintained that one of the largest obstacles to making artificial reproductive techniques more widely available is the difficulty in obtaining ova in sufficient quantities. In Canada, during the discussions over the Assisted Human Reproduction bill, MPs were warned by pro-life advocates that the drive to obtain ova would mean poor women in Canada and women in developing countries could face exploitation. In 1993 Dr. Roger Gosden, the maverick British fertility and embryo researcher, then at Edinburgh University, asked for a license from the British governing body, the Human Fertilisation and Embryology Authority (HFEA) to use ovarian tissue not only from live donors but from cadavers and aborted fetuses. The HFEA submitted the proposals to a public consultation, but decided that societal norms were not yet ready to accept such procedures and that this would place burdens on children. In his 1989 book The Skin Game: The International Beauty Business Brutally Exposed, researcher Gerald McKnight revealed that pregnant women in poor countries were being offered US $200 to abort their children to provide materials for the manufacturers of skin creams.